After Sahara Ave, we’re one mile from SR 592/Flamingo, 2.25 miles from SR 593/Tropicana, and five miles from I-215. 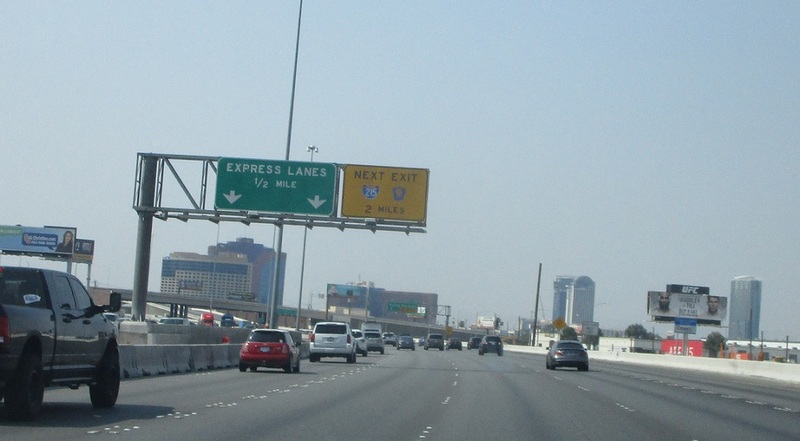 I-15 has some painted express lanes – stay in those to get to I-/CC 215 quickly. Exit for SR 582/Flamingo west. Flamingo east is not a state highway.